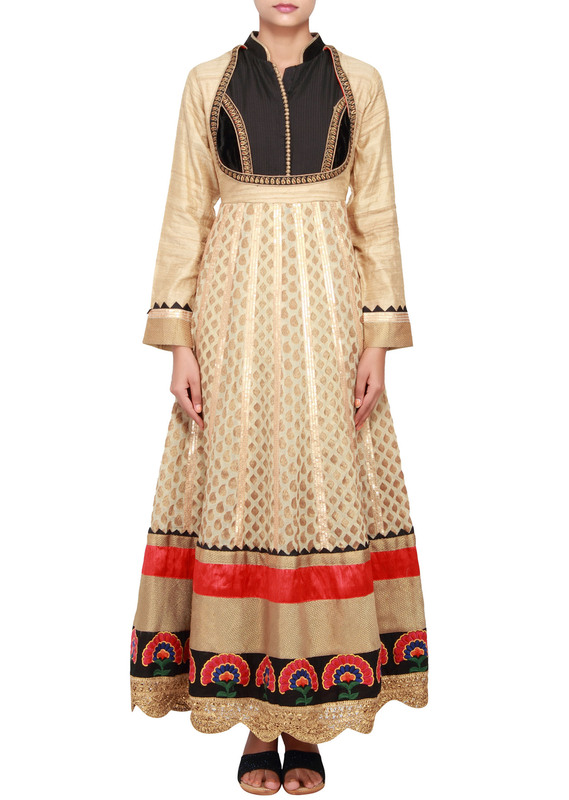 Featuring a beige anarkali in banarsi silk embellished in resham and zardosi. 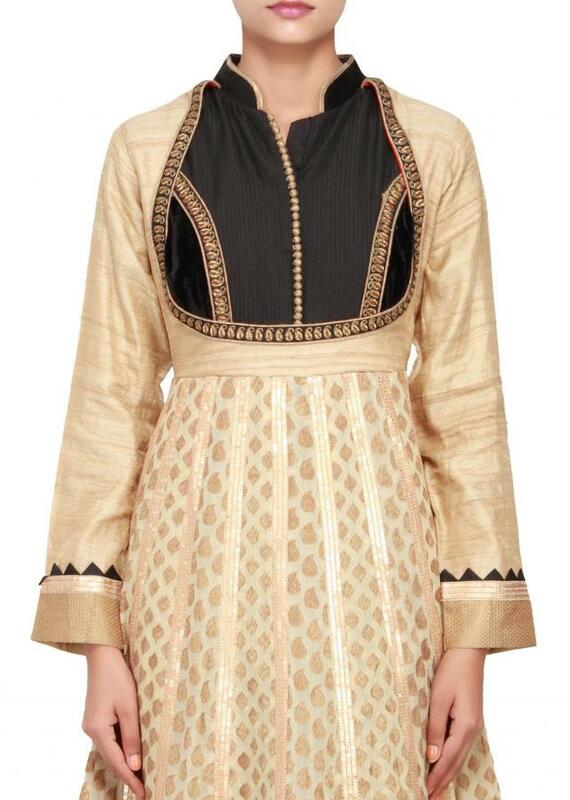 The bodice is in beige raw silk and black silk and velvet embellished in gold zardosi. The kali is in banarsi silk with paisely motf weaved in gold. All kalis are lined in bronze sequence. It has full sleeves in beige raw silk with embellished cuff. Neckline is fancy with button detail on the placket, attached with black collar. 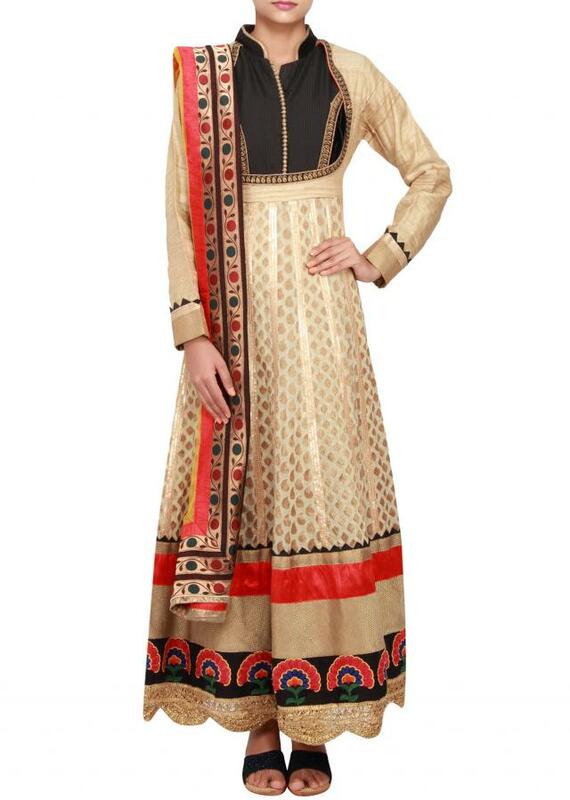 The border is broad in gold, red and black embellished in resham embroidery. Hemline is in gold lace. 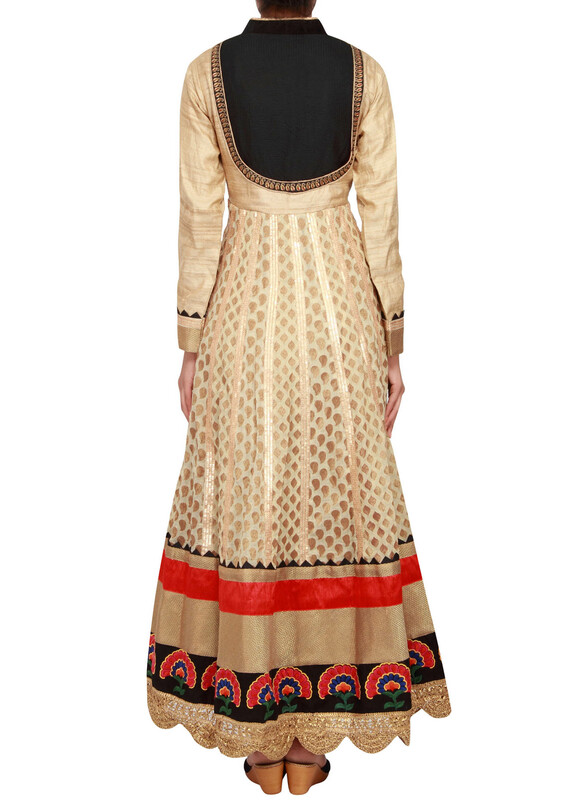 It comes with a yellow dupatta enhanced with broad border and a beige silk churidaar.